Congratulations to the Bookshelf Muse on their release of the Emotion Thesaurus. They are doing a fun launch celebration by allowing others to show Random Act Of Kindness. I love how creative and inspirational they are. Are you stuck in the endless waiting cycle? Check out my post on Hurry Up and Wait over at the MiGs. All last week Beth Revis interviewed some talented authors over on her blog. Check it out! Check out Jennifer Laughran from the Andrea Brown Agency’s post on Everything About Author Events. She has a wealth of knowledge you don’t want to miss out on. Debbie Ridpath Ohi has made a blog that will share the process involved in creating her two picture books for Simon & Schuster Books for Young Readers. The I’M BORED Scrapbook documents the creation of I’M BORED, a new picture book by Michael Ian Black and illustrated by yours truly, coming out from Simon & Schuster Books For Young Readers in Sept/2012. This blog includes photos, sketches, process notes, comics as well as quotes from the author, editor (Justin Chanda) and art director (Laurent Linn). I’ll also be posting in Inkygirl about the very first picture book that I’ll be writing AND illustrating (just recently got the contract from Simon & Schuster, yay!). I’ll be posting about the process, what I’m learning, what happens at various steps and what they mean, the people I interact with at S&S and what they do. I’ll be sharing some of the templates I create for myself to help with workflow, plus give you a peek of what goes on inside Simon & Schuster BFYR later on in the process, after I’ve handed in my finals. 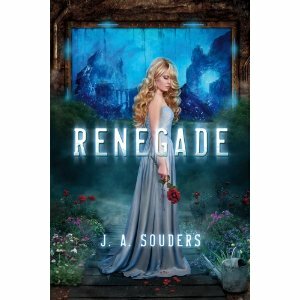 And do you have the widget for Jessica Souders RENEGADE? If not, Safari Poet created an awesome one that you can get here. 7 Responses to Link Love! These sound like great links, Christina. Thanks! I’m off to click around until I get lost. . . Thanks for the links! 🙂 I’m going to have to check these out . . . Thanks for these links. I especially found J Laughran’s chock-full of info. Thanks for sharing these links, which I’ve visited.